£1645 pp, £225 single supplement. Coll and Tiree lie on the outer, western edge of the Inner Hebrides, and their position makes them ideal for migrant birds. 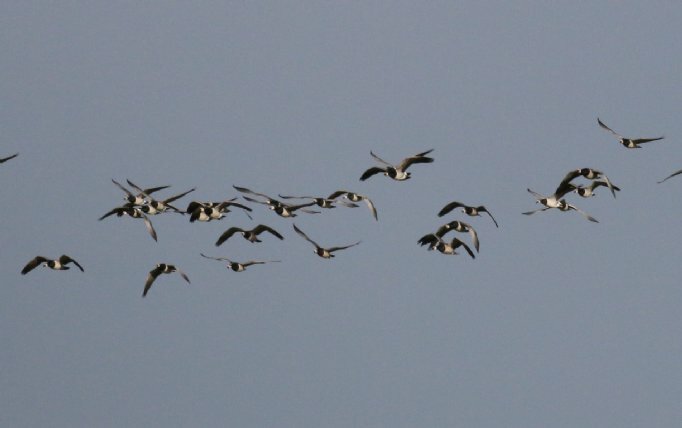 Northerly and western migrants take pride of place, though the islands also receive eastern falls, as birds migrating at altitude recognise them as the last available landfall. 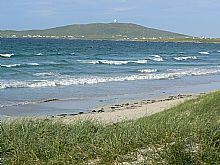 The two islands are very different in character with Coll being very rocky and windswept while Tiree offers a much more gentle aspect with fertile crofts and very rich grazing. 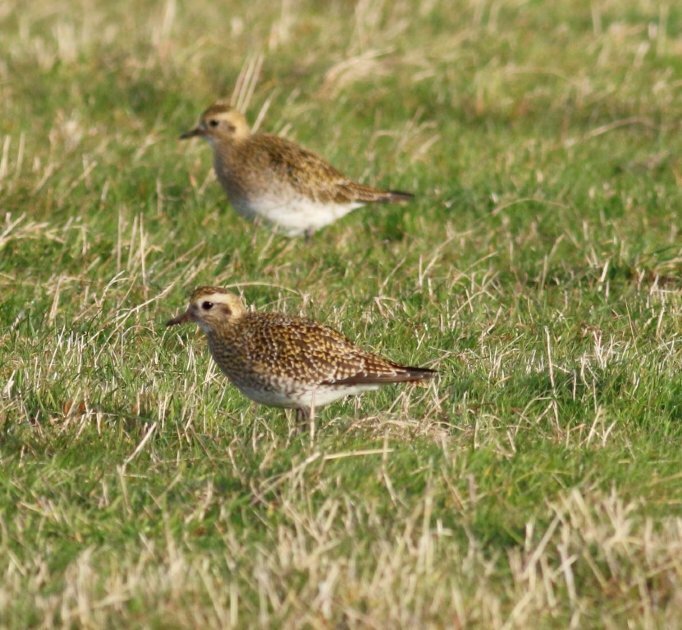 They are very under-watched but have a formidable track record of rarities, and Tiree has become one of the best places in the UK to catch up with rare and scarce American waders. 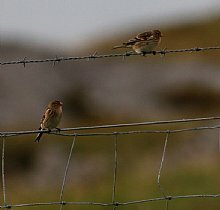 Scotland's fifth Brown Shrike, Bairds, White-rumped, Semi-palmated, Buff-breasted and Pectoral Sandpiper, Cedar Waxwing and Scotland's first Northern Parula, have all turned up on Tiree in recent years. 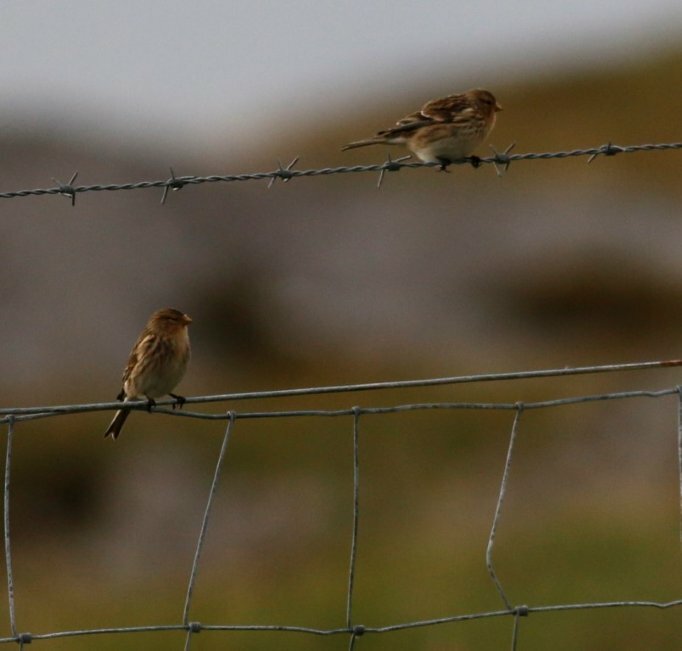 Other birds recorded on the islands in the last few years include Blyth's Reed Warbler, Citrine Wagtail, Buff Bellied Pipit, Yellow-browed Warbler and Common Rosefinch. American Golden Plover, American Wigeon, Ring-necked Duck and Green-winged Teal are all regular, and seawatching can be very rewarding, perhaps including Grey Phalarope, Pomarine Skua and Sooty Shearwater, as well as good numbers of Great and Arctic Skua and Manx Shearwater. 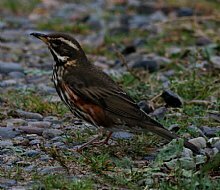 Flocks of Fieldfare and Redwing should be present, along with Brambling, Blackbird and Robin on migration, perhaps with an exotic rarity present too! 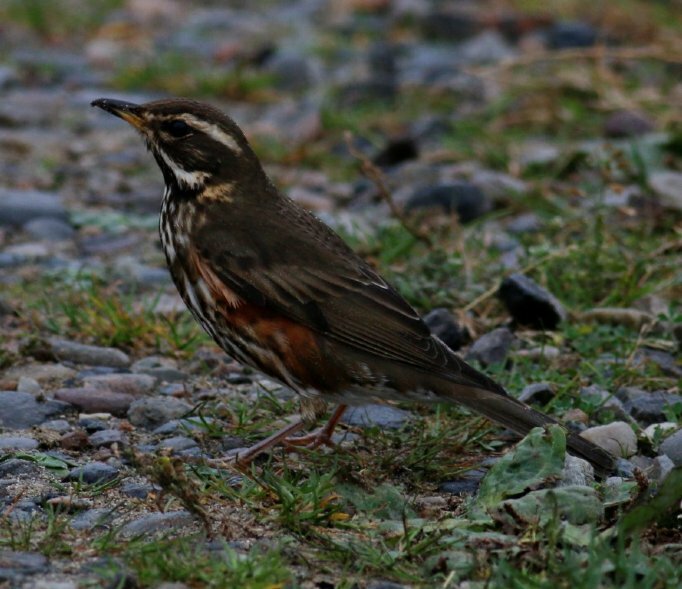 Peregrine, Merlin, Hen Harrier, Raven Hooded Crow and flocks of Twite and Linnet are also likely, and we will watch for migrating Snow Bunting, Lapland Bunting and other passerines. Walking will be easy, and most birding can be done from our vehicle or nearby. There will be optional walks for those who wish them. The holiday begins in Oban, where we board the early morning ferry to Coll. Sea watching from the ferry can be very rewarding with skuas shearwaters and petrels all possible, and White-tailed Eagle are possible over the shores of Mull. We cruise up the Sound of Mull, and westerly across open sea to our remote island destination. As we go, the odd Gannet, Kittiwake, Guillemot and Black Guillemot should be seen, and we watch for Minke Whale, Common Dolphin and Harbour Porpoise too. On arrival on Coll, we make ourselves comfortable before heading round the island looking for Raven , Twite, Hen Harrier and Merlin, and checking nooks and crannies for possible migrants. A full day exploring this beautiful island. Most of Coll is bleak, with a thin skin of heather and grass pierced by gnarled rock. There are however patches of shrubbery, gardens and large expanses of iris beds, which may well hold special birds. 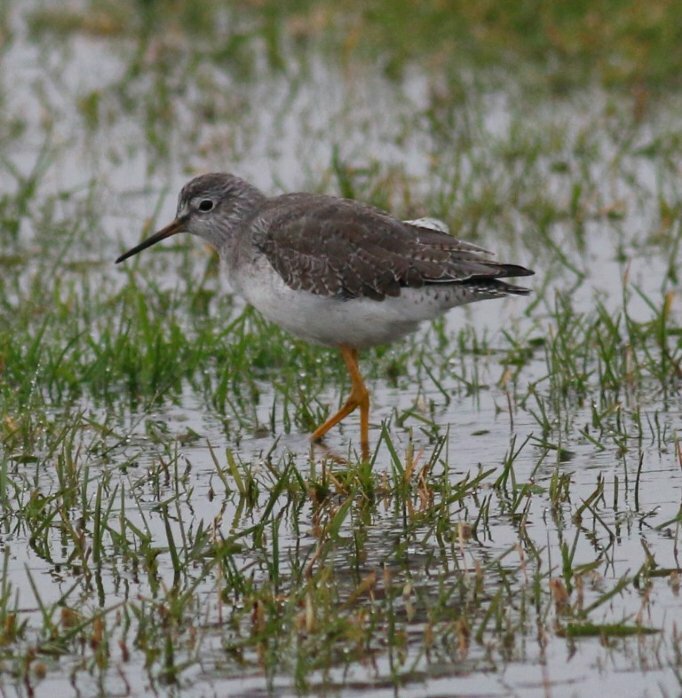 We will visit the RSPB reserve and check for migrants in secluded bays and on the open sea. The scenery is unique, with views back to the distant Scottish mainland and to Mull on a clear day. After a last birding foray in the early morning, we take the ferry across to Tiree. Sea watching can be very productive. 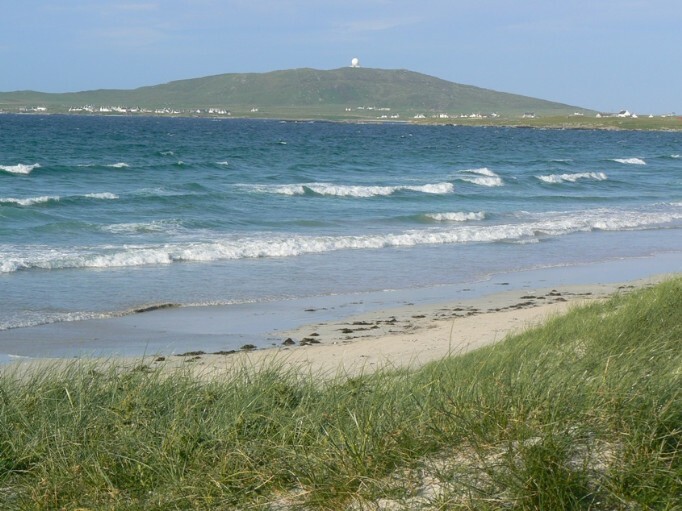 After we land on Tiree, we head for the three-mile long beach at Gott Bay, where sizeable flocks of Sanderling can include exciting American vagrants. At the northern end of the island around Vaul, we seawatch across the waters of Gunna Sound, and investigate secluded bays where northern and eastern migrants might be located. A unique birding day in a unique environment! 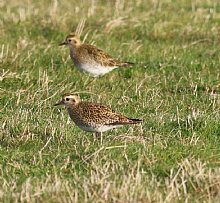 We head down to what is perhaps the premier site on Tiree at Loch A Phuil where we hope to see good numbers of waders. We check out the largest stand of trees and gorse on the island, which provides a haven where birds can both rest and remain. We check the machair for Golden Plover flocks and the gardens and shrubbery for migrant passerines. 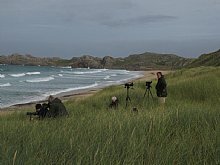 Later we head round the coast to Hynish and check the shore for waders and also otter. Depending on the weather and wind direction we plan to spend the day around the West and North of the Island. 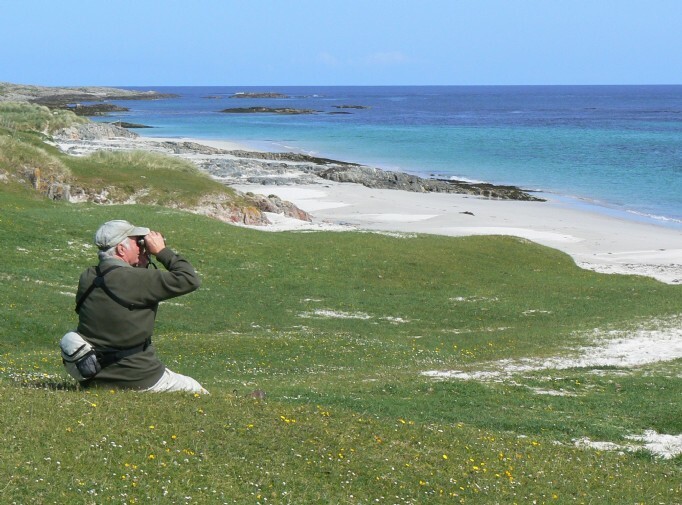 Rocky shorelines, machair, boggy fields, gardens and small patches of shrubbery all attract their share of migrants, and a full and exciting days birding awaits us! Our last full day on Tiree will depend on weather and birding considerations, though we would expect to take a slow birding drive up to the North, looking at hidden bays for waders before heading back around the island to check Sandaig and then the area round Balephuil and Loch A Phuil. We have extensive local contacts, and will of course be liaising with others throughout to maximise our birding chances. 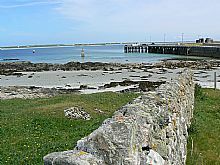 We depart Tiree mid-morning, heading first for Coll, then across the water to Oban, arriving late afternoon, with the possibility of making rail connections to Glasgow. Transfers back to Nethy Bridge are includied for those who wish. Expect a wide variation in weather conditions, which can be wild and unpredictable, with temperatures perhaps averaging around 5 - 15 degrees Celsius. Sunshine, rain and strong winds are all possible, and you will probably experience a bit of everything. Biting insects are not expected. Please bring walking boots or shoes, weatherproof clothing and a small rucksack. There will be short to moderate (1 to 3 mile) walks some days. 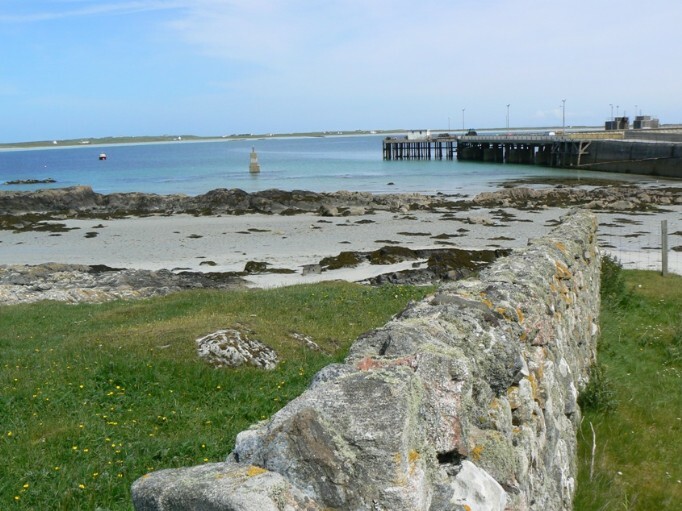 • Six nights comfortable hotel/guest house accommodation on Coll and Tiree. We stay here every year, and choose places where birders are welcome and the hospitality is special. Guests are never expected to share. • Full Scottish breakfast and dinner from Sunday evening til Saturday morning, packed lunch daily. • All transfers by comfortable minibus. All ferries and other boat trips. Drivers can leave vehicles safely parked at The Mountview Hotel. We offer a courtesy drop off service to Aviemore on the morning of departure. • Extra night in Oban/Nethybridge area at beginning and end of holiday. This can be arranged for you if requested at time of holiday booking. • Transfers from rail links in Aviemore.